Firstly, if you're a fan of grunge and you haven't already, join Fans of Grunge. Secondly, this blog I'm posting is here so that we can discuss grunge bands and smoe bands who played a role in grunge. The Fluid, originating in Denver, Colorado, was a big influence on the part of the Sub Pop/grunge movement, being a featured artist on the Sub Pop 200 compilation w/ other bands such as Nirvana, Mudhoney, Green River, and Soundgarden. They formed in 1984 under the name Madhouse with members Matt Bischoff, James Clower, and Garrett Shavlik, on bass, gutar, and drums, respectively. Later, in 1985, The trio added Rick Kulwicki as an extra guitarist and John Robinson on vocals and then changed to the name The Fluid. They (under Madhouse) released their first album on RayOn Records in 1986 titled Punch N Judy and was released on Glitterhouse Records. With only minor sales, the album was of significant importance because it caught the ears of Jonathan Poneman at Sub Pop. The Fluid and especially this album, were sited by influenced by hard rock and punk bands the Stooges and the MC5, as well as early Alice Cooper. In 1988, they released their Sub Pop debut, Clear Black Paper and although it had poor record sales, the grunge rock seen was just coming underway. The sound was a bit more polished than their previous release, courtesy of Jack Endino, and had two moderate hits Cold Outside and Much Too Much. 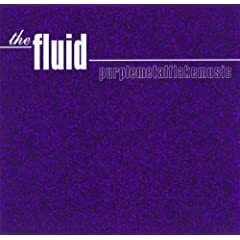 In 1989, The Fluid released Freak Magnet EP and Roadmouth with Glitterhouse/Sub Pop to moderate success. Roadhouse being released shortly before Bleach by Nirvana definitely showcases the classic Sub Pop, rock sound, with Is It Day? also released on the Sub Pop 200 compilation. Argumentively the highest selling/rated album, "Glue" released in 1990, was the epitome of their Sub Pop career was sold as a double album�with Roadhouse. It featured 15 tracks including their most famous "Human Mill" and "Hooked". The Fluid finished of their career with a final record on major-label Hollywood Records. The album "Purplemetalflakemusic" defined their career and it seemed the band had found their hard rock niche. Unfortunately, due to lack of backing by Hollywood Records The Fluid disbanded. The Fluid recently reunited and held shows at The Bluebird Theater in Denver on Friday June 20, 2008 and at Seattle’s Marymoor Park on July 12th and 13th for the Sub-Pop 20th Anniversary Festival. Green River, originating in Seattle, WA, was formed by Mark Arm (vocals/guitar) and Steve Turner (lead guitar) in 1984, who previously played in the band Mr. Epp and The Calculations, as well as Limp Richard. Jeff Ament performed bass and drums were provided by Alex Vincent, who was previously in the band Spluii Numa with Turner. Stone Gossard also later joined the band on guitar to allow more focus on vocals, thus completing the Green River lineup. The band played live shows around Seattle in late 1984 and and by establishing a name locally, had decided to start recording their first album. Shortly after recoriding had finished the following year, Turner left the band due to issues with bandmate Ament. The band replaced him with Bruce Fairweather, formerly of Deranged Diction, where he had played with Ament. The EP Come on Down was released later than expected in 1985 after their first nationwide tour to poor record sales, but was considered to be the first "grunge" album. Not too long after, the band had two songs (10,000 Things, Your Own Best Friend) released on the Deep Six compilation, which has been acredited as putting grunge on the map, alongside Washington bands the U-Men, the Melvins, Malfunkshun, Skin Yard and Soundgarden. Their second EP, Dry As a Bone was released in 1987 on Sub Pop and is technically the first album released by the record company, outside of a compilation, Sub Pop 100. The record company (specifically Bruce Pavitt) could not afford to release the album as expected until a full year after it waas finished. The record recieved good reviews and decent sales. The band broke up in 1987, not long after the release of Dry As a Bone, due to issues between Mark Arm and Ament/Gossard. Ament and Gossard wanted to sign to a major label whereas Arm wanted to remain "independent". The band, however, did agree to finish their final album, Rehab Doll, which was released in late 1987. In 1988, Arm and Turner formed Mudhoney and Ament, Gossard and Fairweather went on to Form Mother Love Bone.